Even after the Jallianwala Bagh Kand, the harassment was continued - HailNewsUp.com provides latest news from India and the world. On 19th April 1919, General Dyer had ordered the Indians to crawl in the street where a British missionary teacher was attacked. Apart from this, the public was beaten and indiscriminately arrested. 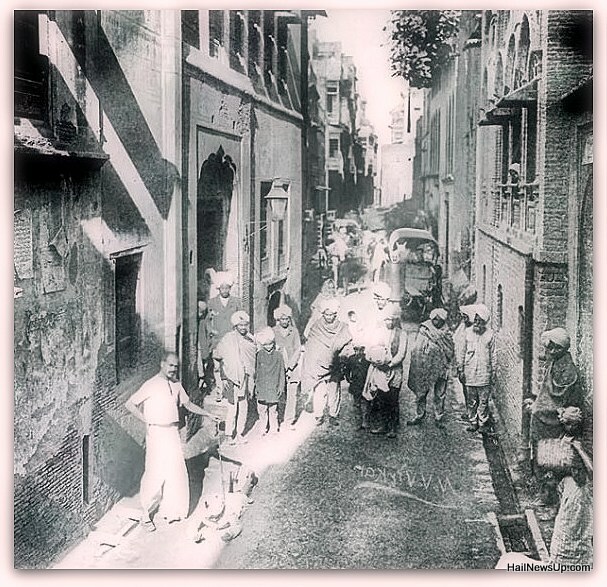 After the Jallianwala Bagh incident in Amritsar, Punjab, on April 13, 1919, the period of persecution continued. The British administration was not in the mood to indulge in indulgence on Indians and on 16 April they continued harassment by applying martial law. Today, on the 100th anniversary of the Jallianwala Bagh period, why did General Dyer has given the Indians the order to crawl. Let us know that on April 13, the Jallianwala Bagh massacre is the 100th anniversary. The Jallianwala Bagh massacre that took place in 1919 is recorded in the dark pages of India's history. During a peaceful meeting, British officer General Dyer had ordered the firing on people present there. Hundreds of people were killed in this massacre. General Dyer is called the Butcher of Punjab. General Dyer had ordered Indians to crawl in the street on 19th April 1919, where a British missionary teacher was attacked. Apart from this, the public was beaten and indiscriminately arrested. According to a report of the Congress on the massacre, the street which was ordered to crawl was very narrow and it was a very densely populated area. There were two-story buildings on either side of the street. If people living in this street had to go out of shopping due to any shopping or any work from the city then they had no other way to pass through this street and therefore they had to go in and crawl in. Not only this, but the British administration had also deprived sanitary and medical facilities for living in the street. There was a condition to go crawling for it. In this lane, Dyer also made the place for rambling. Brigadier General Dyer told the Hunter Commission while clarifying on the implementation of the order to crawl in the part of 150 yards of this street, 'I felt that the women were beaten up. We treat women as sacred. So I considered for its appropriate sentence. I deployed posts on both ends of the street and told them that no Indian should be allowed to go without them. ' This order was effective till 24 April 1919 and 50 men were forced to crawl on their stomach. General Dyer had said, 'I never thought that a sensible person would pass through these circumstances. My order was effective from midday April 19 to 24 April 1919. About 50 men had to crawl in all the checkpoints during this period. But I do not know why he did this because every house had a back door and the duty of the post was kept from 6 am to 8 pm. General Dyer had said, "The conclusion comes from the fact that those who did this wanted to martyr themselves." Apart from this, the British Army had ordered people from all over Punjab to salute English officers. He was forced to greet the British Apart from this, the public also used to rubbish people in rocks, including children, who were dressed up before bringing them in front.